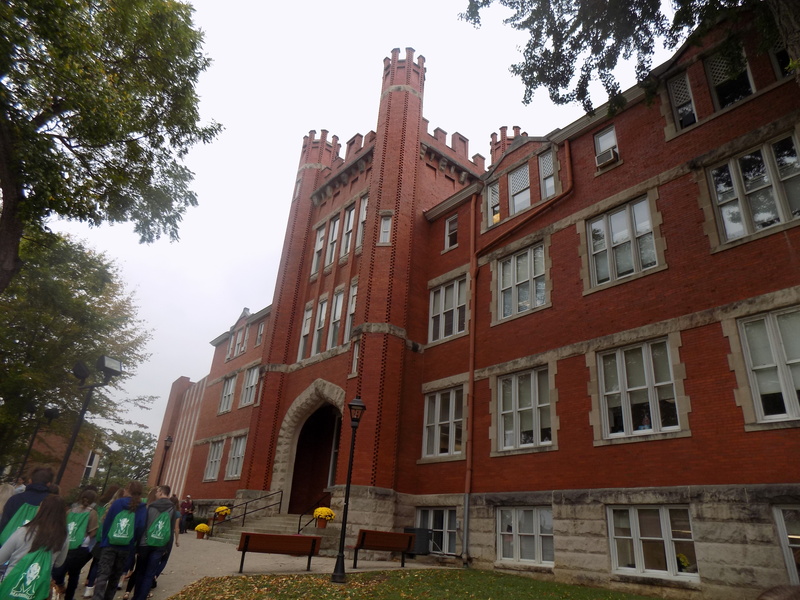 Thirty-eight seniors accompanied by Mrs. Murphy and Mrs. Dorsey, both who are the Marshall alumna, visited Marshall University on October 12, 2017. The goal of the trip, which was made possible by the Gear-up grant, was to help seniors with their college decisions. Before the tour began, students were given an official Marshall bag and a planner along with other items. During the tour, the students visited the library, the recreation center, and the student center where they ate lunch. The Memorial Student Center Food Court offered the students a number of places of which to dine including the Huntington Market, Herd grille, Sub Connection, Chick-fil-A, Pizza Hut Express, Oodles, Freshens, Salad Creations, and Starbucks.